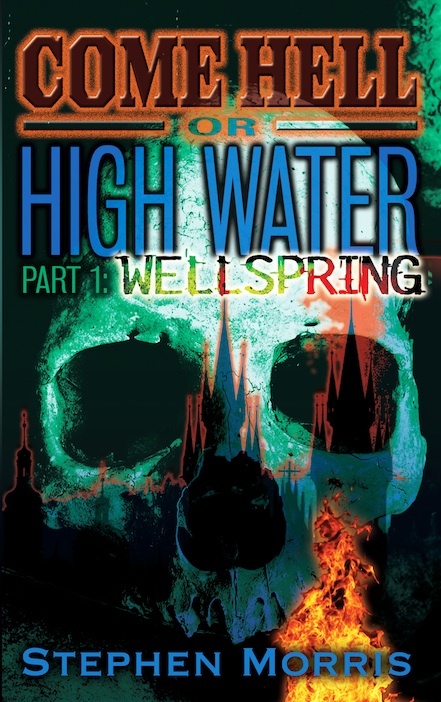 "Come Hell or High Water," a terrifying historic-fantasy trilogy from first-time author Stephen Morris, erupts in 1356 as a witch’s curse rings out over Prague’s Old Town Square. As the old crone is bound to a stake and consumed by flames, her vengeful words set in motion a series of dark events that unfold across the centuries, culminating in the historic flood of 2002 that threatens to destroy the city. The trilogy, to be self-published in both e-book and paperback format, will appear in the next few weeks, just in time to mark the 10th anniversary of the historic flood. This debut urban fantasy is gripping, intelligent and intricately layered with remarkable research and detail taken from authentic medieval occult practices and the legends of Mysterious Prague itself. or find it on Facebook!